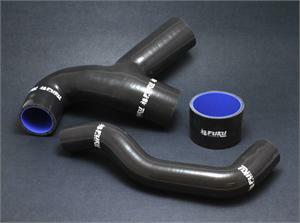 Set of three hoses- intercooler Y pipe, throttle body coupler, and bypass valve hose. Upgrade your old tired cracked factory hoses to these high performance 100% silicone hoses that are more flexible, much stronger and longer lasting. Full 5 year warranty.